Two years ago, following the election of Donald Trump to office, historians specializing in the history of migration and ethnicity in the United States compiled the #ImmigrationSyllabus to serve as a resource and teaching tool for instructors, students and the general public. It was an inspired collaboration, one that showcased how historians can play an important role in disseminating knowledge about the very genealogy of particular public policy debates and information that can shed light on lies, falsehoods and mythologies that animate many of these contemporary discussions. 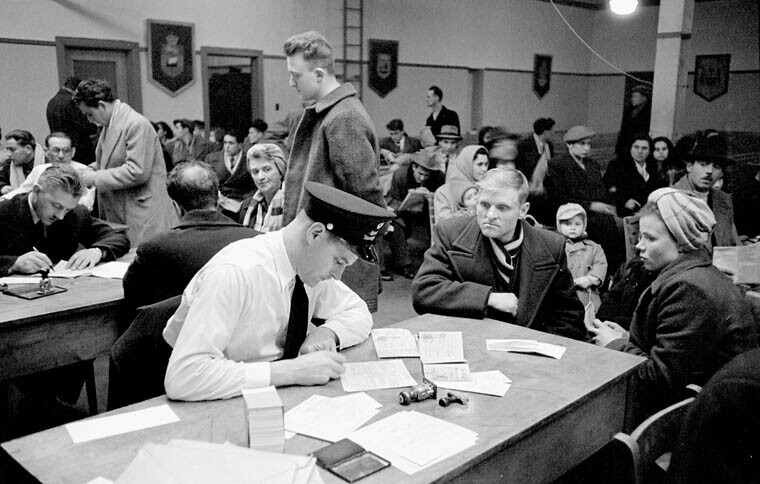 Inspired by these efforts, and cognizant of the important work that has taken place on these topics in Canada, we set out to compile an immigration history syllabus (Canadian-style) with input from scholars across the country whose own work and professional service has shaped our commitment to collaborative research, resource-sharing and knowledge dissemination. This syllabus brings together key themes, readings, sources, and questions about the history of migration to and from Canada, offering a resource to educators and students, and valuable historical context for contemporary debates. The immigration syllabus (Canadian-style) saw many incarnations over the past few months. The result is a blend of loosely chronological subjects that can be used in the classroom, beginning with some key readings on what constitutes migration history and why it might be an important topic to study. To lend some flexibility, there are a series of thematic units that can be exchanged if instructors would like to focus on a particular aspect of this field such as gender, religion, settler colonialism or Indigenous mobilities. The idea was to have foundations as well as flexibility, and we hope that the syllabus does just that. Each section of the syllabus begins with a series of prompt questions to frame seminar discussion or the major takeaways from a lecture. The questions are followed by a reading list on the section theme, including articles, book chapters, blog posts, and, in a few cases, books. Emphasis is on open access and library-accessible publications. In several cases, the reading list is followed by a list of films, databases, fiction, or other complementary resources for teaching. Naturally, given the breadth of this topic and the diversity of excellent work being done in migration history, this syllabus cannot be, and does not claim to be, comprehensive. However, we think it captures the dynamism of the field, many of the main themes and approaches present in the historiography, and above all the ways in which migration history can inform how we think about Canada today. In the link below, the fruits of our labour! Special thanks to our collaborators and advisory group: Michael Akladios, Lisa Chilton, Marlene Epp, Gilberto Fernandes, Franca Iacovetta, Paul-Étienne Rainville, Jordan Stanger-Ross, and Sylvie Taschereau. As we start this new year, and reflect on the work that has gone into creating this syllabus, we are reminded of the tremendous community of scholars in Canada whose work is instrumental in how we teach and talk about all kinds of history in the classroom, with our peers and with a variety of audiences near and far. It can be easy to forget about this community, in the rush of our daily lives, but the opportunity to build this syllabus was an opportunity to pause, engage and revisit work that many of us hadn’t had a chance to read since our comprehensive exams, all the while discovering new, savoury material as a result of the generous suggestions made by contributors to this project. The syllabus project was a lesson in community and it was one that we were grateful to lead. We hope that the Canadian immigration history syllabus will be of use to many and look forward to future incarnations of this syllabus and others. Thank you Daniel and Laura for this most excellent work!